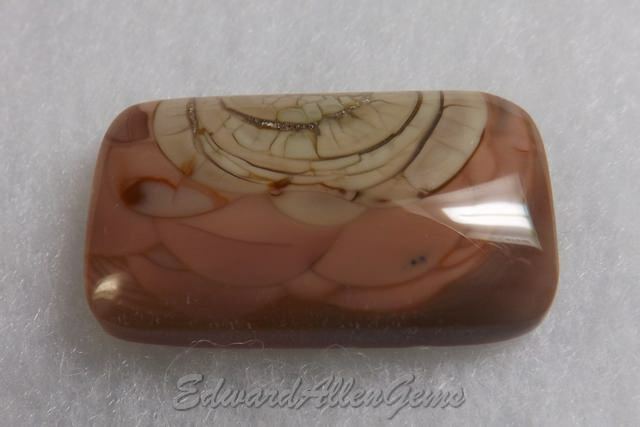 The cabochons on this page were cut from the awesome Imperial Jasper from Mexico. We charge one shipping cost for all that will safely fit in a Small Priority Flat Rate box and will ship to the U.S. as well as Internationally. First Class Shipping available upon request. 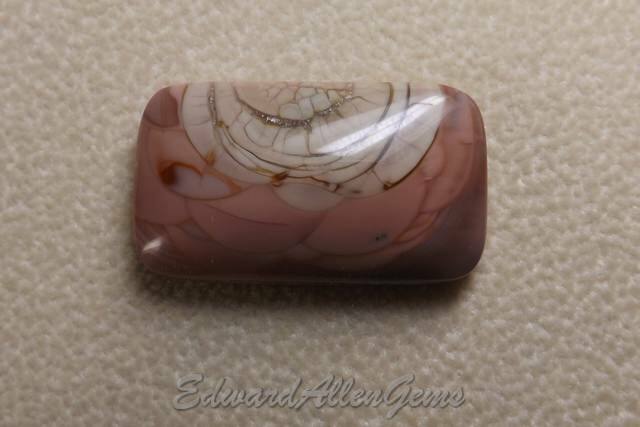 This is an awesome little Imperial Jasper cabochon, another little 'gem' we found in Tucson. 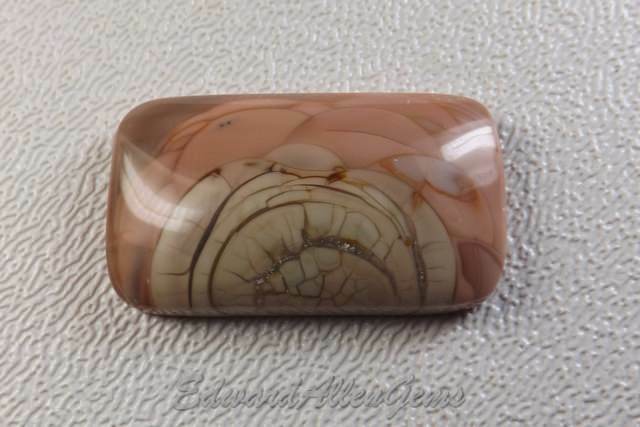 It's rectangular in shape, and filled with orbicular patterns. 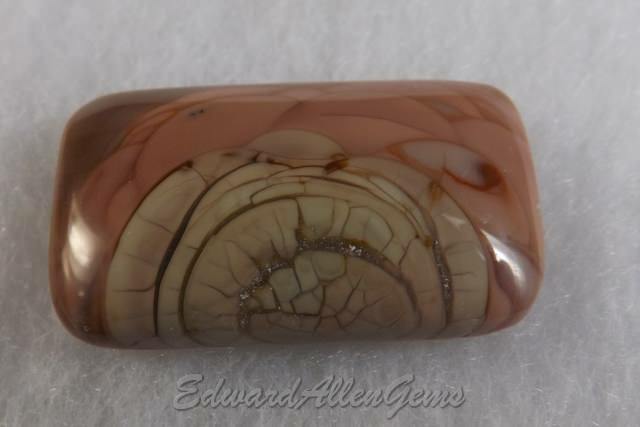 It is 27 x 16 mm and 5-6 mm thick. It weighs 21.9 carats. 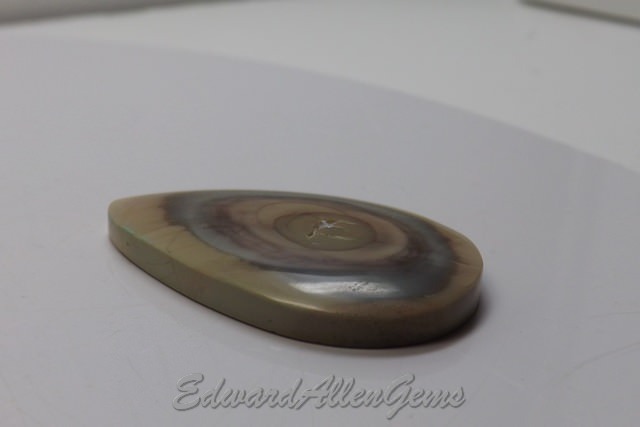 It is nicely polished on the sides and face. Back is unpolished. First Class shipping available upon request. 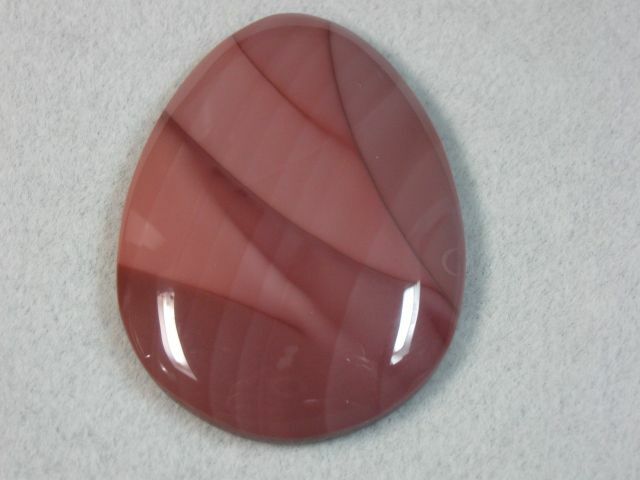 This is a Royal Imperial Jasper cabochon, with a blue and a hint of purple center. The natural teardrop-shaped pattern was followed by the cutter. 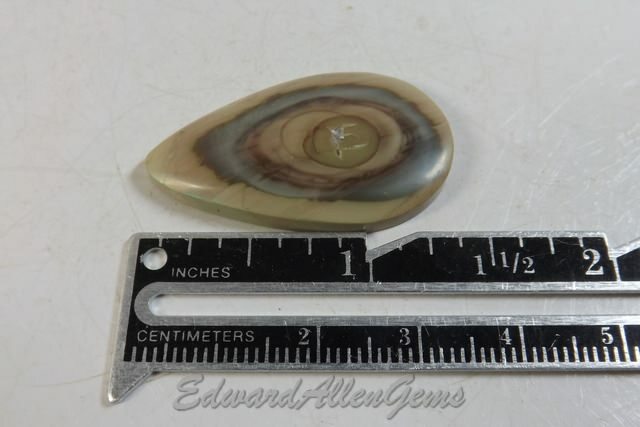 It is 37 x 20 mm and 5 mm thick. It weighs 25.5 carats. 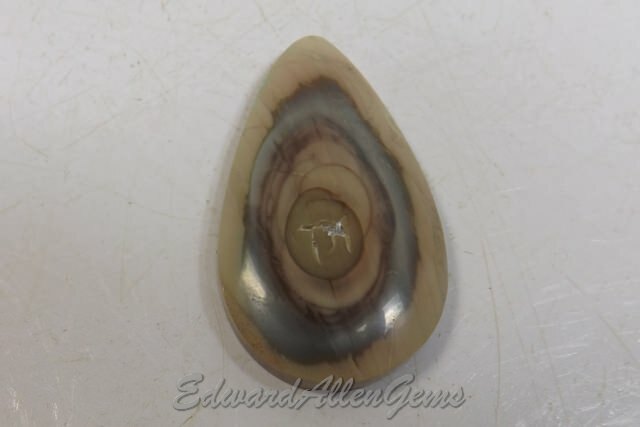 The center of the egg area has tiny pocket lines, as visible in the photos. 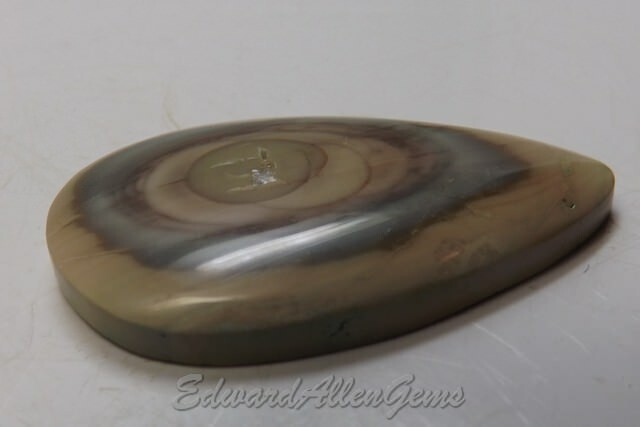 It is nicely polished on the sides and face. Back is unpolished. First Class shipping available upon request. 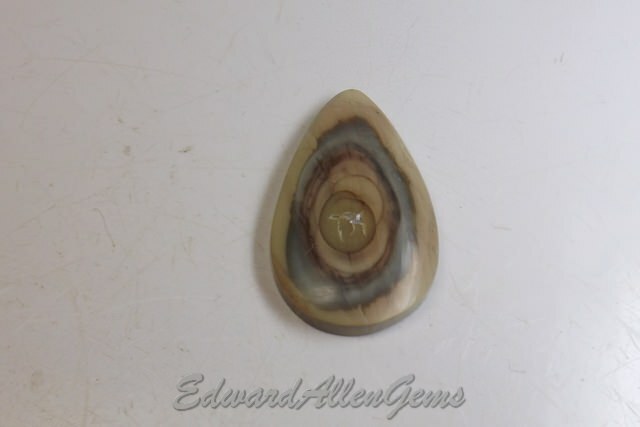 This is a teardrop cabochon cut from a piece of Imperial Jasper from Mexico. 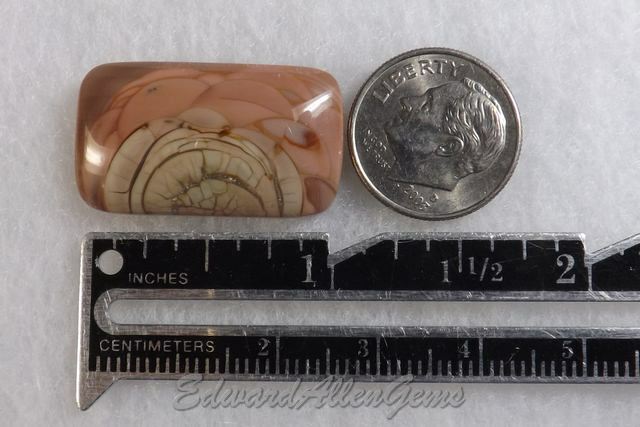 It is 40 x 29 mm and 5-6 mm thick, weighing 47 carats, or 9.4 grams. I could not quite capture the coloring accurately in the photo. It is not quite as red as it looks in the photo. First Class shipping available upon request.